Scrape and clean 4 carrots, use a handful seeds of pomegranate, a half inch slice of fresh ginger, one tea spoon honey, one tea spoon lemon juice and some mint leaves. Grind them into juice. You can pop in a beet, a few spinach leaves, a little celery, and half an apple for adding more power taste to the juice. Use your imagination. Take one cup of grated carrot, ¼ or ½ cup raisins, a few segments of navel oranges, a drizzle of pineapple or lemon juice, chop fine one average-sized apple, then toss them all together and sprinkle hand-torn basil leaves on top. Take one table spoon olive oil; heat the oil in a pan. Scrap and dice two red carrots, add them followed by one cup fresh and tender green peas. Stir fry for a few seconds and add salt and pepper to taste. Then lower the heat, cover and allow cooking until the vegetables become tender. This will take only a few minutes if your carrots and peas are fresh from the field. It is a delicious side to your main dish and the addition of a 1/8 table spoon turmeric powder gives it a lovely golden hue. Mix one cooked and grated carrot with one tea spoon honey and one table spoon yogurt. Apply all over your face and neck. Leave it on for 18 minutes and then wash off with cool water. Wonderfully hydrating and nourishing you will be rewarded with a rosy glow! It is an excellent workout for your jaw. It strengthens your teeth and helps prevent gum problems. You will like to rub a little sea salt on your carrots, or even savor them with creamy hung yogurt dip. Carrots are gifted with many medicinal properties. They are said to cleanse your intestines and to be diuretic, mineralizing, anti diarrheal, an overall tonic and anti anemic. 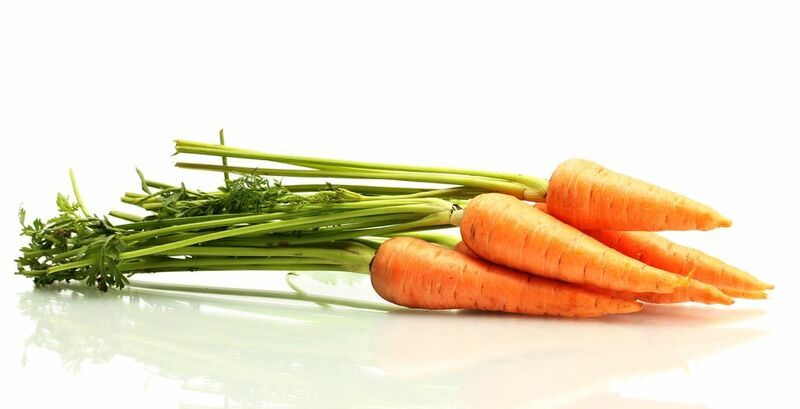 Carrots are rich in alkaline elements which revitalize and purify your blood. They nourish the entire body and help in the maintenance of acid-alkaline balance in the system. The carrot also has a reputation of a vegetable that helps to maintain normal eyesight. Raw grated carrots can be applied as a compress to burns for a soothing effect. 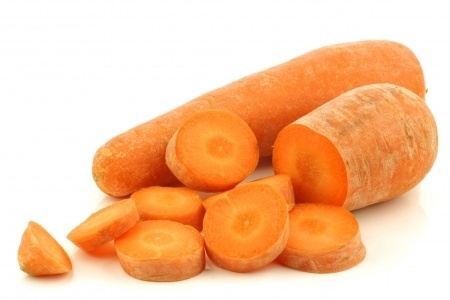 Carrot’s highly energizing juice has a particularly beneficial effect on the liver. 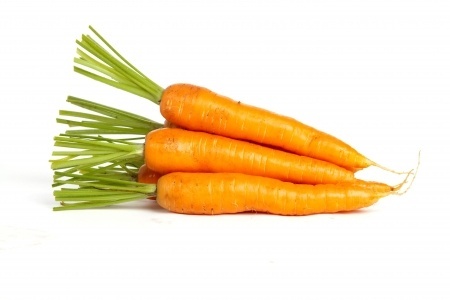 Consumed in enormous quantities, carrots can cause your skin to turn yellow. This phenomenon- called Carotenemia is caused by the carotene and is frequently seen in youngsters but is not at all dangerous. An infusion of carrot seeds is believed to be diuretic. It stimulates the appetite, reduces colic, aids fluid retention and helps alleviate menstrual pain. The dried flowers are also used as a tea to remedy dropsy. Boiled in wine and taken, these seeds help conception. Strangely that the seeds made into a tea have been used for ages as a contraceptive. Applied with honey, they cleanse running sores or ulcers. Carrots also can help break wind and remove stitches in the side. Chewing a carrot immediately after eating kills all the harmful germs in your mouth. It cleans your teeth, removes the food particles lodged in your crevices and prevents bleeding gums and tooth decay. Carrot soup is supposed to cure diarrhea and help with tonsillitis. 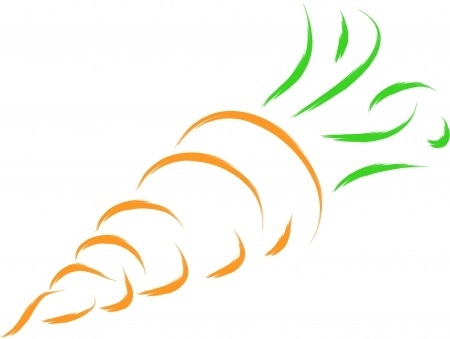 You can give a raw carrot to your kid for expeling worms. Pulped carrot is used as a cataplasm for application to ulcers and sores. They are also supposed to improve your memory abilities and relieve tension. It has been scientifically proven that the carrot’s seed extract, effectively inhibits implantation if it is given orally at the correct dosage from day four to six post ovulation. Wild carrot tea has been recommended for kidney and bladder ailment, dropsy, gout, gravel; seeds are recommended for calculus, obstructions of the internal organs. Carrots of one form or another should be served at every meal for liver derangements.